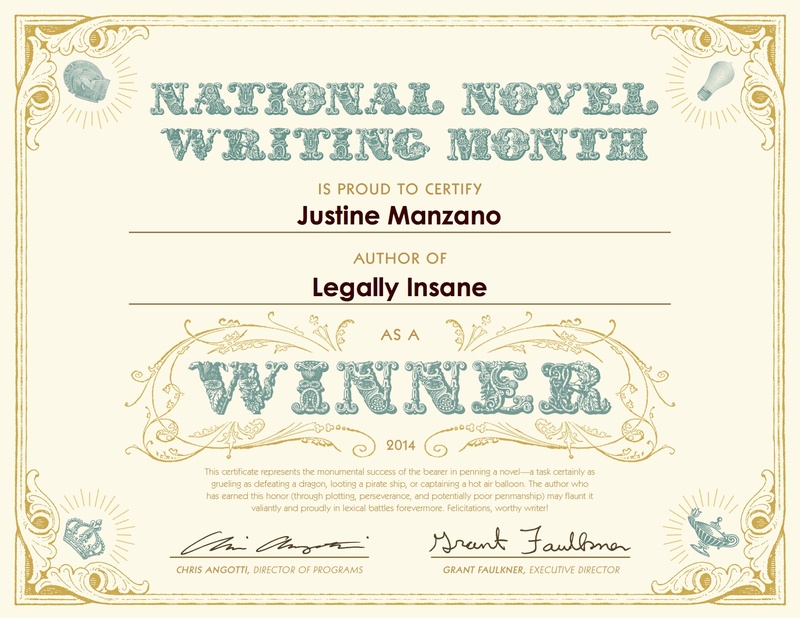 Haha, my employer asked why in the world they picked November for NaNoWriMo too! She said it just seemed crazy to her. And I should probably clean my house. Yes! That is a great plan and I am so happy for you! Congrats on your NaNo win! Yeah, I think November may have actually been the busiest month of my entire life. LOL That’s how it felt, anyway. I’ve done Camp NaNo too! Maybe I’ll go in with you – we can be bunk mates!! Thank you so much. I am definitely going to take you up on that beta reader offer when I finish the other chunk of it. Very much appreciated! I hope you like it! Congrats — SO cool! I never had any doubt you’d make it! !